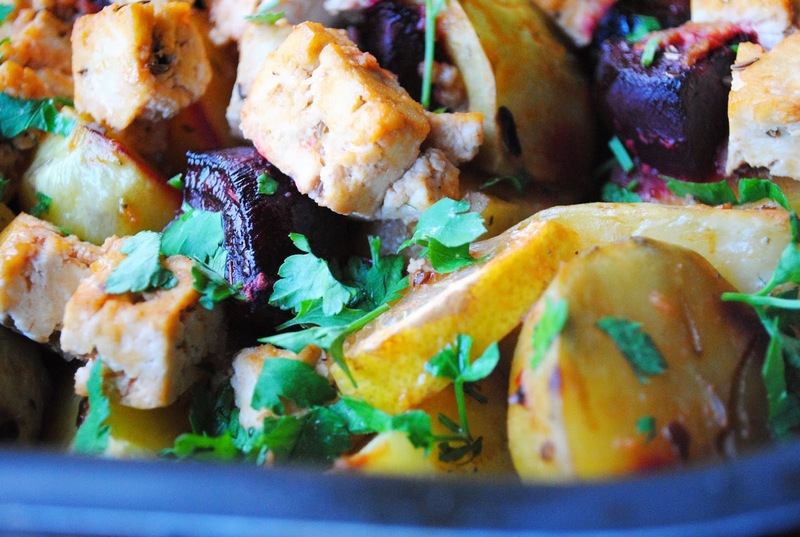 Pre-heat the oven to 200 C. In the meantime peel and wash the beets and potatoes and slice them. Put them into the baking dish along with chilli flakes, salt, oregano and oil. Mix it all together with your hands and put it in the oven. 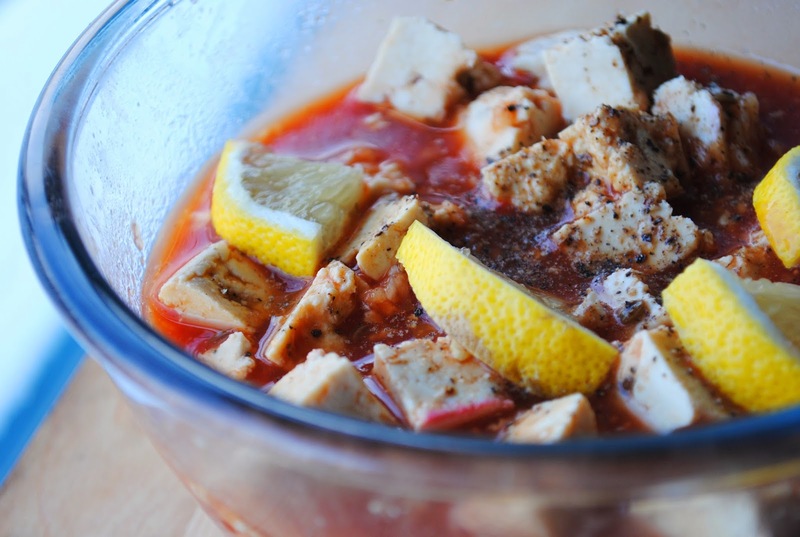 In the meantime marinate the tofu: cut tofu into cubes, pour tomato juice on it, add crushed garlic cloves, lemon juice, lemon slice, pepper and soy sauce. Mix. 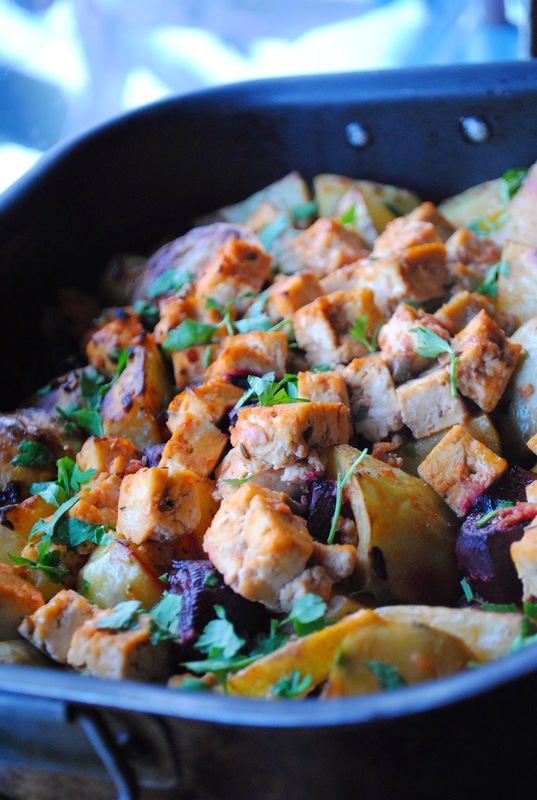 When the potatoes are soft, pour the tofu and marinade on the potatoes and beets. Put the oven on the grill mode and bake for about 10-15 minutes until the tofu is crispy.